It’s Saturday so I was craving something a little more hearty before I go meet my girlfriends for some cocktails. 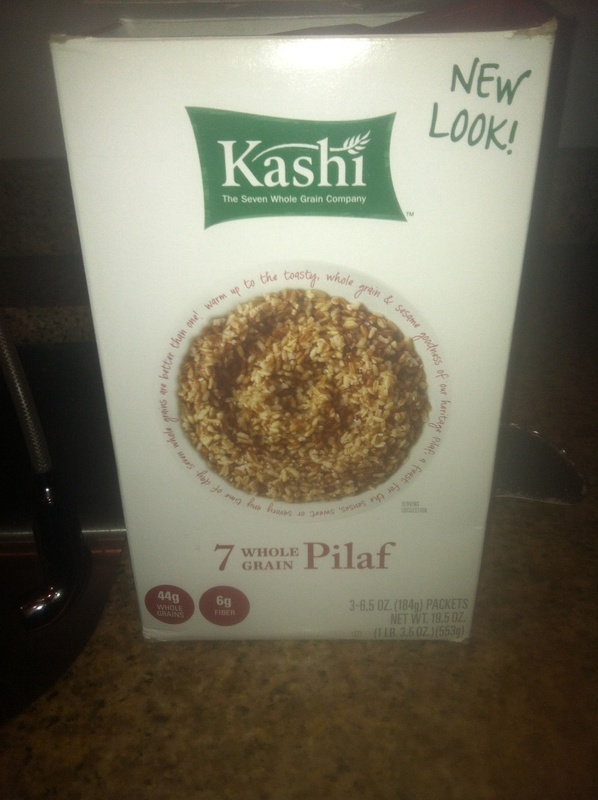 I always have Kashi 7 Whole Grain Pilaf in my cupboard and I decided to try something a bit different with it tonight. The texture of this pilaf is a tad chewy (but the good kind) and it has a nutty flavor to it. It has 6 grams of fiber and protein per serving which is pretty hard to beat! The dish turned out super duper scrumptious and I think you will enjoy it! 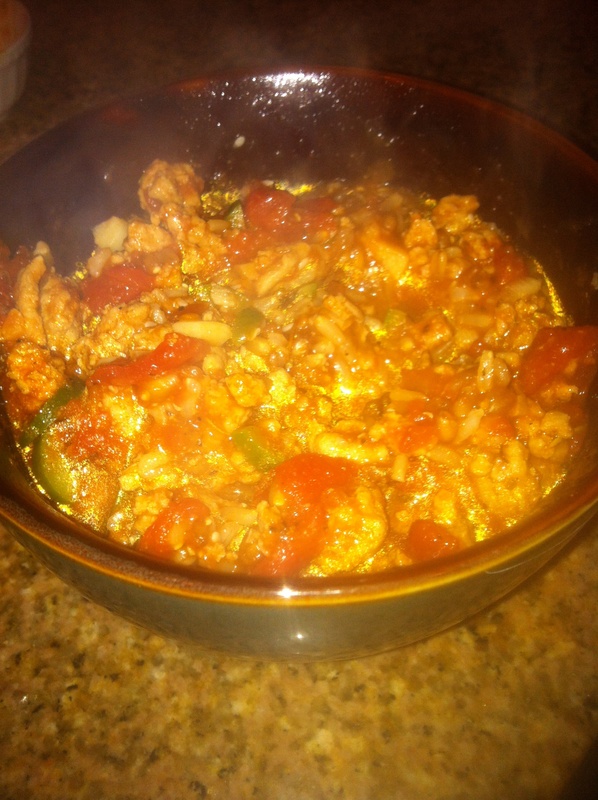 2) In the meantime start by adding 1 tablespoon olive oil in a medium skillet and cook over medium heat add the ground turkey and breakup and stir for about 10 min or until its cooked all the way through. 3) Add the tomatoes, spices, wine, vinegar, olives salt and pepper and chili flakes. Cook over medium to low heat for about 25 minutes stirring occasionally. 4) Add the desired amount of pilaf with the sauce, sprinkle on some cheese and enjoy!